This week is Diabetes Week! 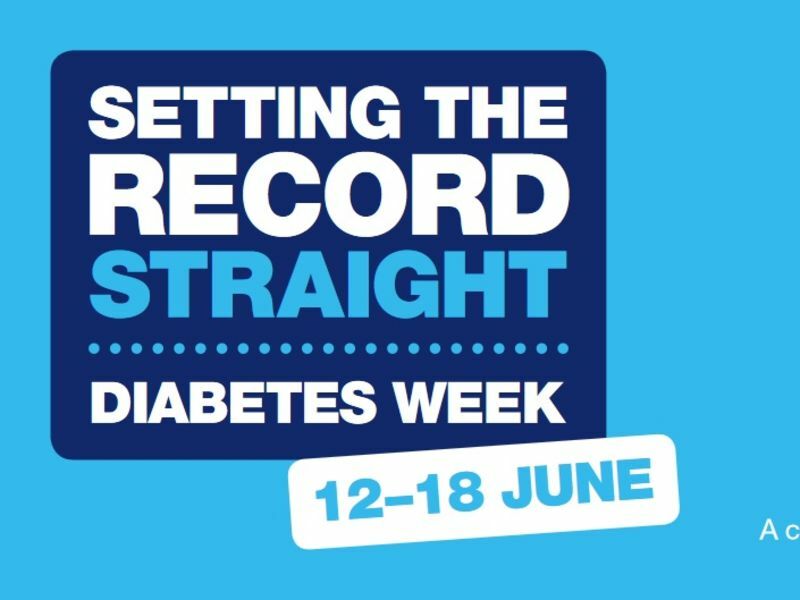 Diabetes Week 2016 is from 12th to 18th June. It is an annual event run by Diabetes UK to help raise awareness and to raise funds for their continued vital work. The theme for this year’s awareness week is ‘Setting the Record Straight’. There are 3.5 million people diagnosed with diabetes in the UK, and a further 549,000 who are unaware that they have it. So this year Diabetes UK want to highlight the commonly-held misconceptions and improve people’s understanding of the condition. As part of managing the condition, it is extremely important for diabetics to have their eyes checked regularly. It is vital to monitor the eyes for diabetic retinopathy, a complication of diabetes that occurs when high blood sugar levels damage the retina. If left undiagnosed and untreated it can lead to blindness. Diabetic retinopathy can also lead to diabetic macular oedema. The macula is the central area of the retina that provides detailed vision, but it can become swollen by blood vessels leaking fluid into it. This fluid builds up slowly and causes gradual blurring of vision. The Leightons Ultimate Eye Examination offers an OCT (Optical Coherence Tomography) scan, which can help detect conditions such as diabetic retinopathy and macular oedema. The OCT scan is a little like an ultrasound scan for your eye, monitoring minute changes to the retina and highlight any possible swelling. Leightons can also offer Optomap in six branches, which captures a detailed panoramic image of the retina. It allows us to see more than 80% of the retina, compared to the 10-15% seen via the traditional method of looking through the pupil. Both OCT and Optomap technology help us to detect and monitor serious eye conditions, including those caused by diabetes, well in advance of traditional eye exams. There is also a strong link between diabetes and hearing loss. Hearing loss is a direct result of nerve damage, and high blood sugar levels can affect the supply of blood and oxygen to the nerves within the inner ear, which can cause them to become damaged. Hearing loss occurs gradually over time, so it is important for diabetics to also have regular hearing assessments to monitor any possible changes in their hearing. To book an Ultimate Eye Examination or a free hearing test with Leightons Opticians & Hearing Care, you can book an appointment online, call us on 0800 40 20 20 or visit your local branch. For more information on Diabetes Week 2016, visit the Diabetes UK website.